Ripley’s Aquarium of the Smokies events! Ripley’s Aquarium of the Smokies offers exclusive events year round. This summer join them in exploring various wonders of the deep and of our very own Great Smoky Mountains National Park! Ripley’s Aquarium of the Smokies is a great place for families to learn about nature and make memories to last a lifetime! Family Night Out- Explore Ripley’s Aquarium of the Smokies and participate in a variety of family fun scienceexperiments and activities. The staff of Ripley’s Aquarium will teach you and your family fun facts about animals of the sea and are even known to bring live animals out in past demonstrations! This is a great opportunity to be educated while on vacation and take home knowledge to share and awesome family memories. After a night of family fun, you will set up camp in Ripley’s Aquarium Penguin Playhouse and sleep among the arctic birds. This family camp (ages 3 and up) includes Aquarium admission, activities, a late night snack, breakfast and a certificate of participation. The dates this summer for this camp are June 23, 2013, July 14, 2013, and July 28, 2013, lasting from 8:00pm to 9:00 am the next morning. The cost of this camp is $45 plus tax per person, but the cost of the experience gained is priceless. EcoVenture Camp- Explore and learn about environmental issues while inside the Great Smoky Mountain National Park for an ecoventure! A member of the Ripley’s Aquarium staff will lead you through the park and discuss various environmental issues facing us today. Team up with other campers and calculate your carbon footprint, investigate nature and discover how you can help change the world! This is a one of a kind, life changing experience offered by the Aquarium is one you don’t want to miss! This camp includes admission to the Aquarium, activities, four meals, an ecoventure notebook, a guided youth hike into the Smoky Mountains and a token of participation. The ages for this camp are 11-17. The dates are July 18, 2013, July 25, 2013 and August 1,2013 from 10:00am to 4:00pm. The cost of this adventure is $120 plus tax/ person and $110 plus tas for annual pass holders. 23, 2013 and July 30,2013 from 10:00 am to 9:00am the following day. Ages for this camp are 6-14 and the cost is $99 plus tax/ person and $89 plus tax/ annual pass holder. Mermaids Swimming Daily!- For a limited time only, Mermaids will be featured in Ripley’s Aquarium of the Smokies! In the months of June and July mermaids can be seen at 12:00 noon,2:00 and 4:00 daily. Meet the mermaids and have your photo taken with them at 11:00am, 1:00 and 3:00. Stay with ERA In The Smokies and walk downtown to the Smokies Aquarium plaza and join in on all the summer fun! Watch in amazement as professionals and amateurs alike carve beautiful, sparkling sculptures out of ice! This Saturday, January 19, from 9am to 3pm, Titanic Pigeon Forge will host its third annual Ice Carving Competition! This lovely event will be held in Titanic’s outdoor entertainment center and it’s free to drop by and enjoy the beauty! To get you excited about coming to enjoy this free event, we found a You Tube video of a previous Ice Carving Competition at the Titanic location in Branson, MO. 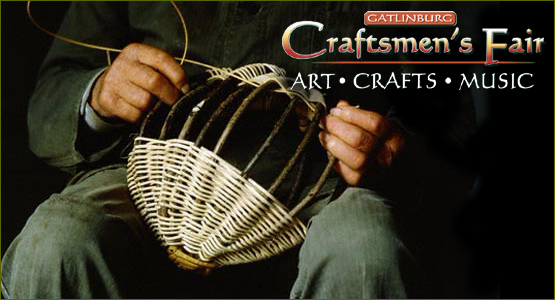 The Gatlinburg Craftsmen’s Fair is a gathering of spectacular artists and craftsmen from East Tennessee and beyond. For only $6 admission per person, you can enjoy hand crafted art of a wide variety, as well as ongoing live bluegrass music throughout the course of the craft show. It will be held at the Gatlinburg Convention Center, and will run October 11 – 28.